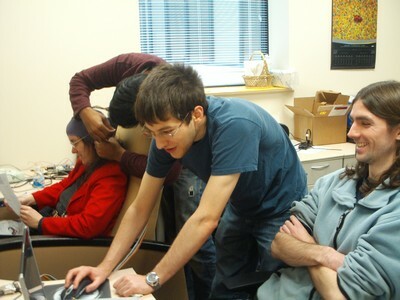 The UM-DBI Laboratory’s current work focuses on the development of EEG-based BCIs into practical clinical tools for use by people with physical impairments. Barriers to clinical use include signal processing challenges, selection of tasks for BCI operation, interactions between BCIs and different conditions causing impairments, and technical support issues to troubleshoot in-home BCI use. 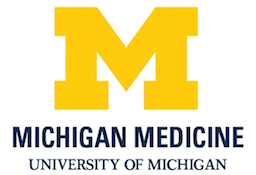 UM-DBI Laboratory studies will address many of these areas. We developed a novel P300 BCI functionality in which activation and deactivation (hold-release) of a P300 BCI speller can be separately controlled. This allows for control of the duration of activations, faster response time for the deactivations and a more analog-like control than using the traditional P300 BCI method. Dr. Ramses Alcaide, a graduate of the lab, leads a start-up company, Neurable, that is commercializing this groundbreaking BCI functionality for computer games and virtual reality. Many tests of cogntive ability rely on accurate and precise movements or speech to generate results, creating a false dependence beteween movement and speech and percevived mental abilities. BCI may allow administration of cognitive tests without requiring physical movement. P300 BCIs are functional, but provide only very, very slow communication. Using such BCIs in conjunction with commercial augmentative and alternative communication systems and/or language models could greatly improve the efficiency of BCI communication. An important aspect of all interfaces is operation only when the user intends to interact with the interface. BCIs, however, are always in contact with the user. 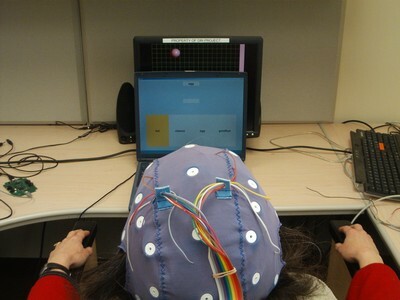 Therefore, a BCI must determine from the user's brain activity whether an activation is intended. Identifying periods in which the user does not intend to use the interface (no-control periods), can improve overall BCI performance accuracy by eliminating errors that may occur due to user distraction or fatigue. P300 BCIs generally rely on a fixed model of the brain activity related to the target stimulus to identify the user's desired target. However, variations in brain activity may occur naturally due to fluctuaions in user attention or mental workload. We have created a classifier based latency estimation (CBLE) method and identified a relationship between variance in the latency of the P300 signals and BCI performance. Accommodation of this variability could improve BCI performance.